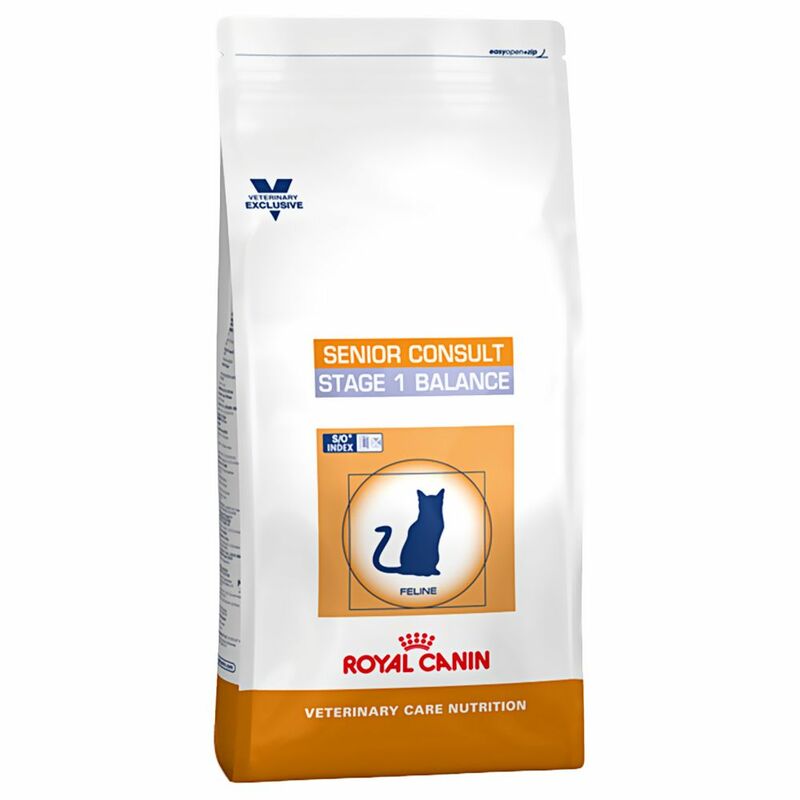 Royal Canin Feline Vet Care Nutrition – Senior Consult Stage 1 Balance is a wellneΒ diet that provides prophylactic help in slowing your cat's ageing proceΒ and maintaining its ideal weight and vitality. As your cat ages, they require something different from their diet – the skin and coat becomes more sensitive, and the metabolism and digestion change. If your cat is aged over seven years, Royal Canin Feline Vet Care Nutrition – Senior Consult Stage 1 Balance is specifically formulated to contain selected nutrients that meet the your senior cat's nutritional requirements. The moderate phosphorus content helps support renal function, while the antioxidant complex (vitamin E, vitamin C, lutein, taurine) regulates oxidative streΒ. The protein content contains eΒential amino acids. To help your cat maintain its ideal weight, this food contains selected fibres that satiate your cat's hunger. A combination of soluble fibre (psyllium) and insoluble fibres with a high water binding capacity help to reduce your cat's daily food intake, which in turn reduces the daily energy intake. Suitable for: Senior, neutered cats (aged 7plus) Helps to maintain: Vitality A healthy body weight Key benefits: Vitality complex: the selected nutrients help support the needs of a senior cat. This includes a moderate phosphorus content (supporting renal function), an antioxidant complex (regulating oxidative streΒ), and an enrichment of amino acids and phosphatidylserine (a naturally occurring phospholipid). High fibre: fibres selected for their satiating effect to help maintain a healthy body weight. S/O INDEx: by feeding your cat a food with S/O index helps to create a pH neutral urine. This is very important, as it can reduce the risk of calcium oxalate stones and crystals and struvite. Price just £47.99! Click here to buy now!